Democratic State Representative Abby Finkenauer from Dubuque is running against incumbent Rod Blum in Iowa’s first congressional district. If elected, she could be the youngest woman in Congress. Iowa Public Radio’s Ben Kieffer spoke with her in advance of Tuesday's mid-term election. During the interview, they talk about her priorities, medicare, her relationship with the media, and how she'll represent older voters in her district. Angry protesters greeted Iowa 4th District Congressman Steve King today, who spoke as part of a candidate forum at the Greater Des Moines Partnership downtown. "Drop Steve King," the protesters chanted as a crowd gathered to hear King speak. Activists point to last weekend’s mass shooting at a Pittsburgh synagogue, and they say the shooter’s white supremacist views echo those of Congressman King. During this River to River interview, Ben Kieffer talks with Iowa’s 1st District Congressman, Rep. Rod Blum (R) of Dubuque. He was first elected in 2014, re-elected in 2016, and is now seeking his 3rd term in office. Blum says his top achievements in office include the recent GOP tax package, securing federal funding for a Cedar Rapids flood wall, and a whistleblower protections bill he co-authored with Rep. Elijah Cummings (D) of Maryland. Next month, 36 states will elect a governor. Nine of those races, where Republicans are in office, are so competitive that some analysts say they are a toss-up. Even though a Republican is in office now, the winner could come from either party. Like in Iowa, where Republican Gov. 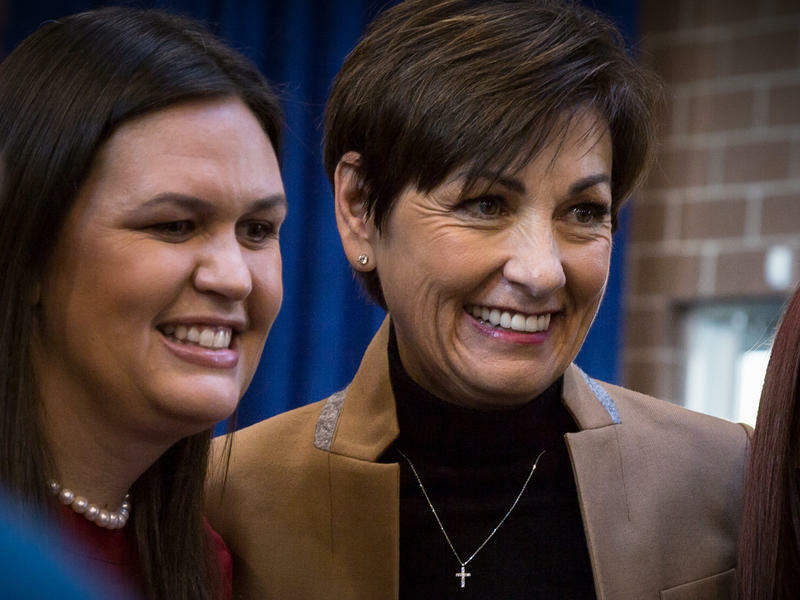 Kim Reynolds can't seem to inch past her Democratic challenger, businessman Fred Hubbell, who has been polling several points ahead of her for months.